Swine Flu, this virus is also known as H1N1 virus. These viruses are born from pigs and spread from person to person. In 2010, the WHO (World Health Organization) announced this virus, since then people have known about this virus. Swine flu also spreads like other flu and takes people in its grip.The infection of any influenza virus in humans is through the breathing system. Coughing and sneezing of the person infected with this virus or touching devices that comes in contact with others. Swine flu virus is usually not very dangerous but death may also occur in swine flu if it worsens or should not be treated at the right time. Symptoms of swine flu vary on children, adults, pregnant women but swine flu starts with some common symptoms of all. Let's know what is the first symptom of swine flu. In H1N1, sufferers feel pain, stiffness and intensity of pain in the muscles too much. The person suffering from H1N1 is disturbed by dry cough, runny nose. In approximately 80% H1N1 cases the patient is heated with fever. In fever, the body temperature reaches 101 degrees and fever continuously increases. As the swine flu spreads in the body, the appetite of the patient decreases and water starts flowing from the nose. Some people also get throat irritation, swelling, emotions, vomiting or diarrhea. Difficulty in breathing, feeling heaviness in the chest, dizziness, vomiting etc. Wash your hands with soap and water in proper way.This is the best way to prevent many common infections. If this is not available, then an alcoholic sanitizer can be used to wash hands. 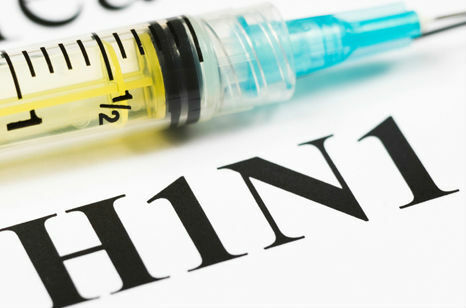 Be sure to apply the swine flu vaccine as soon as vaccine is available, because this is the best way to prevent H-1-N-1 infection. When coughing or sneezing, the handkerchief or tissue paper should be used to cover your mouth and nose. Since swine flu is spreading across the country, therefore wear a mask while leaving out. Do not pass through the streets of dirty and garbage, not only clean your house but also around you. Keep not only the cleanliness of the room of the swine flu sufferers but also keep things of clean clothes, soap and other uses apart. After using tissue immediately throw it in the trash. If you have a fever then stay at home for 24 hours after its recovery. Continue drinking water so that there is no dehydration. Do not touch the face again and again without any reason and always take complete sleep and stay in the doctor's constant contact.